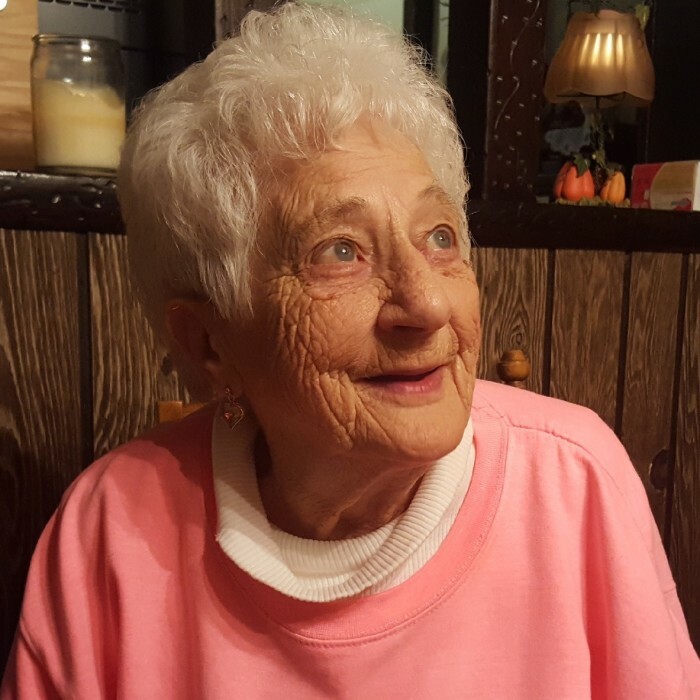 Virginia “Jean” Lloyd, age 88 ½ years young of West Elizabeth, Pennsylvania, passed away on Tuesday, April 9, 2019 with her loving family by her side. She was born October 7, 1930 in McKeesport, Pennsylvania, one of eight children of William and Olive (Caruthers) Grimes. Virginia was a homemaker who loved her family very much, and looked forward to spending every possible Saturday with her daughter, Lori, going shopping and out to eat. She especially loved the dollar stores. In addition to her parents, she was preceded in death by her husband Jack A. Lloyd and six of her siblings. She is survived by six children, Jack (Arlene), Daryl (Tina), David “Paul”, Robin, Lori (Michael) and April (Bill); many grandchildren; many great grandchildren; and a brother Dave. Friends will be received on Friday, April 12, 2019 from 6 – 8pm and on Saturday, April 13, 2019 from 4 – 8pm in the Stephen D. Slater Funeral Home, 1701 Route 51, Jefferson Hills, Pennsylvania 15025 (412-384-0350). The services for Virginia will be concluded on Saturday at 8pm with a prayer and song.